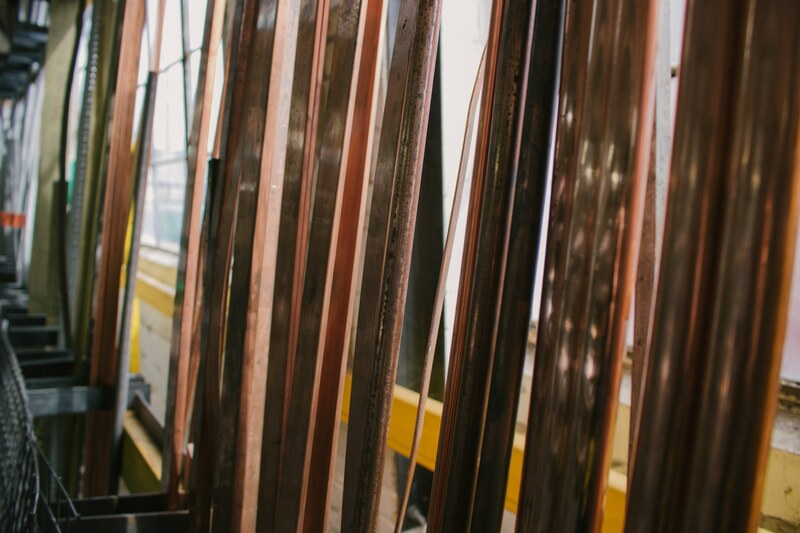 The king of electrical conductivity (and good thermal conductivity as well), Copper also offers significant corrosion resistance. It is commonly alloyed to vary its hardness, conductivity and colour characteristics. For more information – or to start your order – contact us today. Flat Grades: 110 Type: Full Round Edge (incl. silver or tin plated), Square Edge (incl. silver plated) Thicknesses: 0.63" thru 2" Widths: 0.5" thru 8"
Round Grades: 110, 147, C360, C10100 Type: Free Machining (swiss quality), Oxygen Free Diameter: 0.125" thru 4" Lengths: 144"
Coil Grades: A500 Gr CGrades: 110, 260 Type: Cold Rolled, Half Hard, Quarter Hard, Soft Thicknesses: 0.0216" thru 0.125" Widths: 24", 36", 48"
Plate Grades: 110, 260 Type: Cold Rolled, Half Hard Thicknesses: 0.1875" thru 0.750" Widths: 24", 48"
Sheet Grades: 110 Type: Cold Rolled, Half Hard, Full Hard Thicknesses: 0.0216" thru 0.125" Widths: 24", 36", 48"
Coiled Grades: 110 Type: Full Hard OD: 0.75" Wall Thickness: 0.042"
Round Grades: Water Type: Type L Hard, Type L Soft OD: 0.25" thru 1.25" Lengths: 120"